Men's Black Tungsten and Steel Bracelet (3/8 cttw), 8.5"
Free Shipping Included! 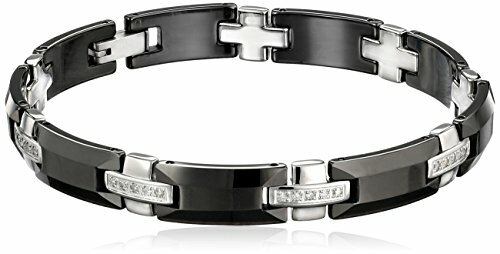 Men's Black Tungsten and Steel Bracelet (3/8 cttw), 8.5'' by Amazon Collection at SCRHI. MPN: TG3034. Hurry! Limited time offer. Offer valid only while supplies last.